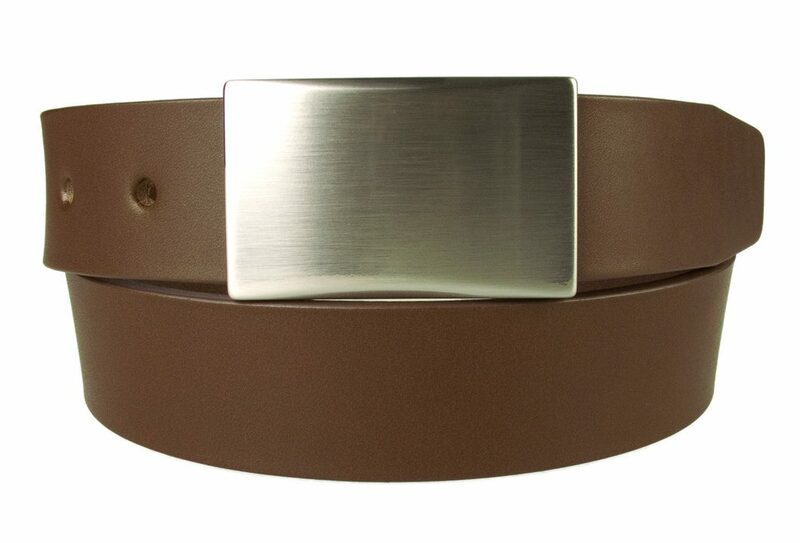 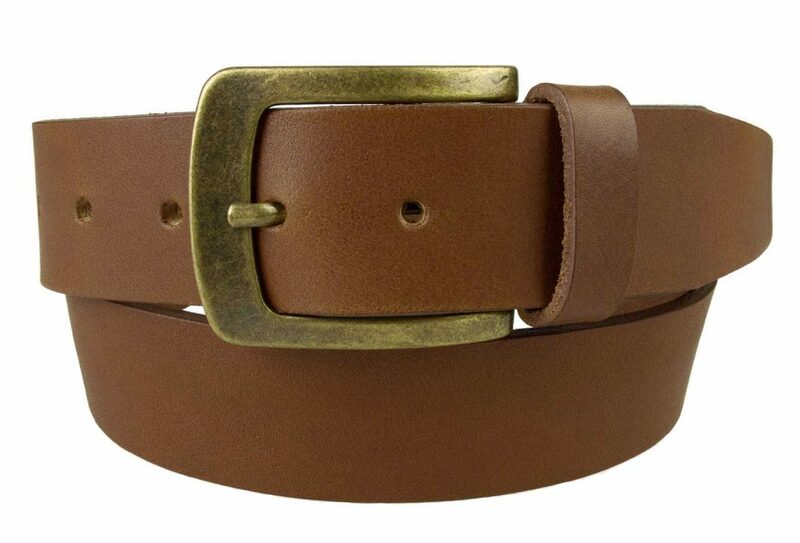 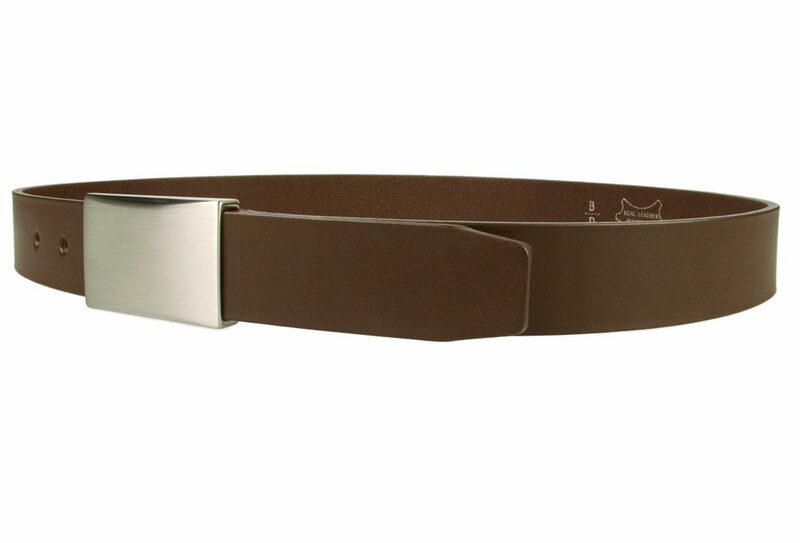 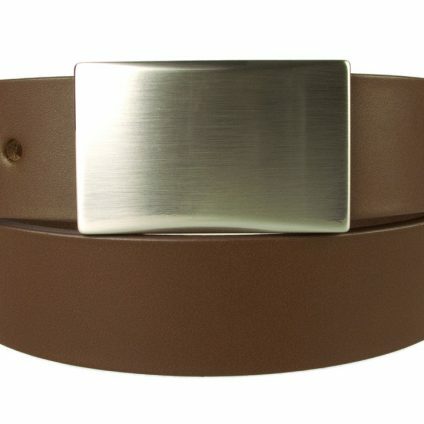 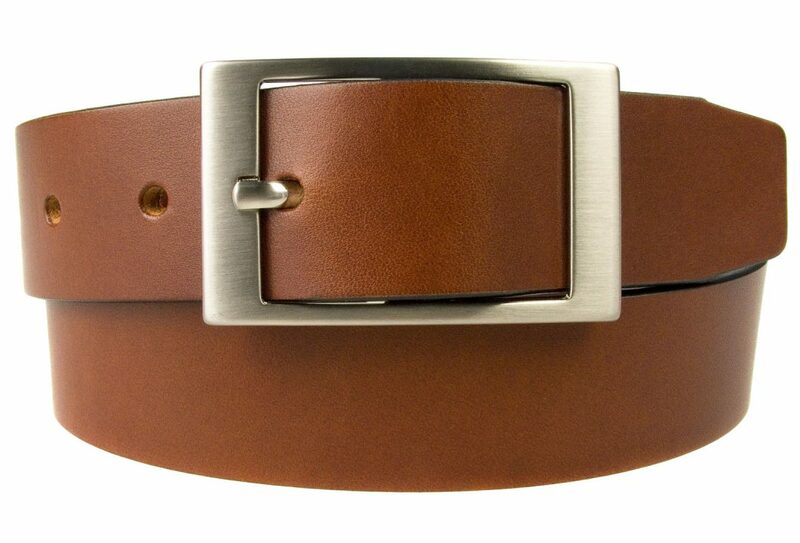 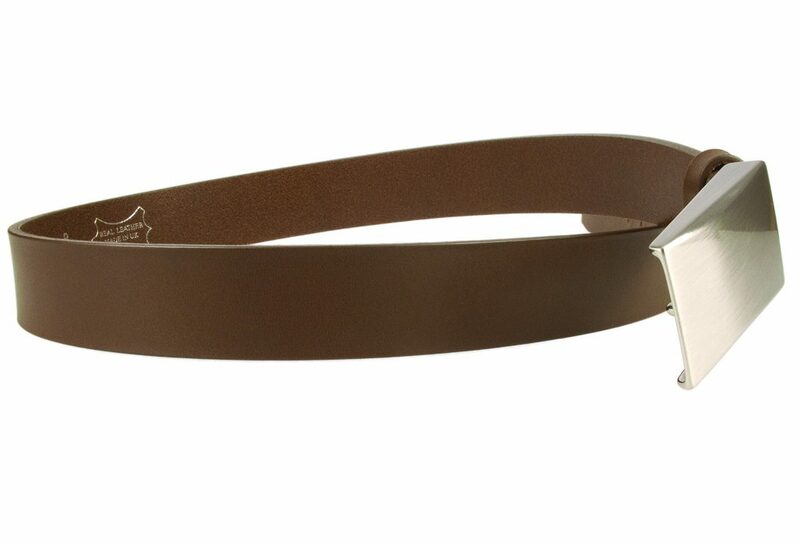 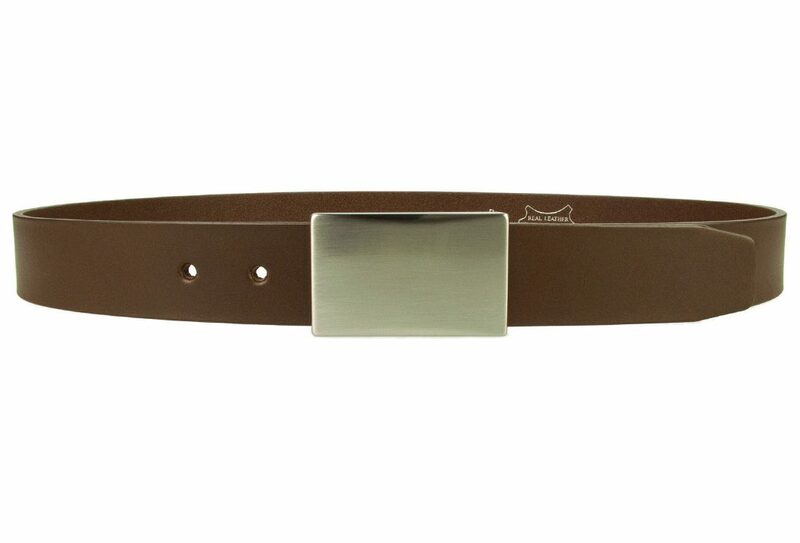 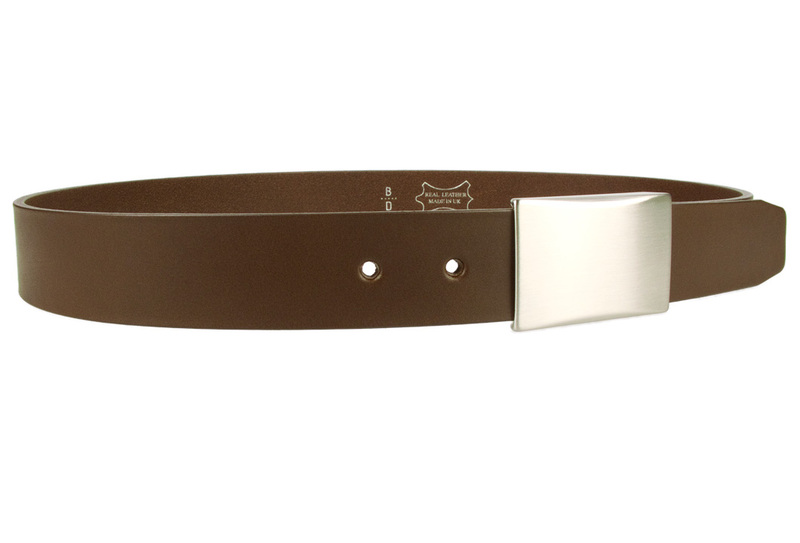 This is a men’s quality plate belt with brown full grain Italian vegetable tanned leather. 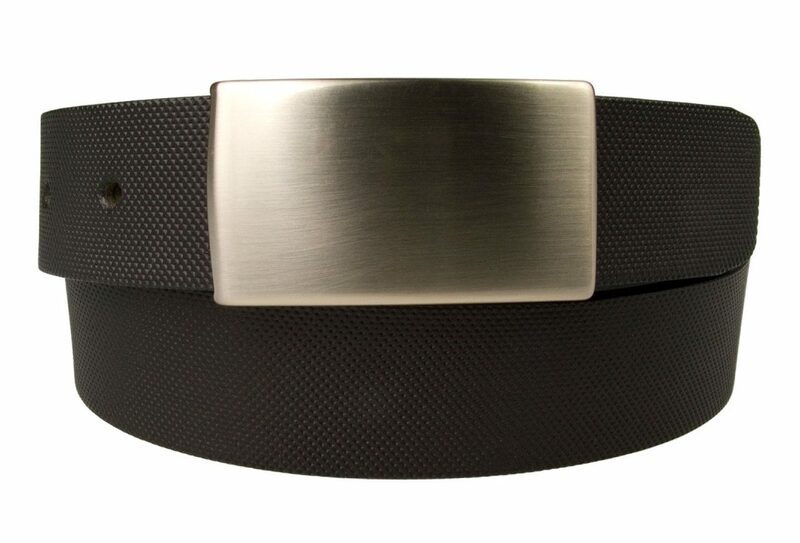 Made in UK by Belt Designs – 35mm (approx 1 3/8″) wide. 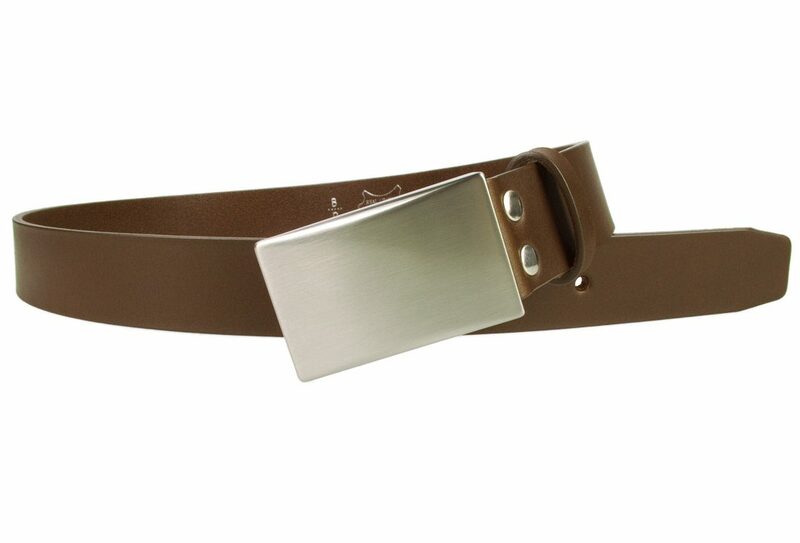 It has a rectangular hand brushed nickel plated buckle, a riveted ‘Return’ which is strong and durable, a free sliding loop and five adjustment holes from the first to the last hole.